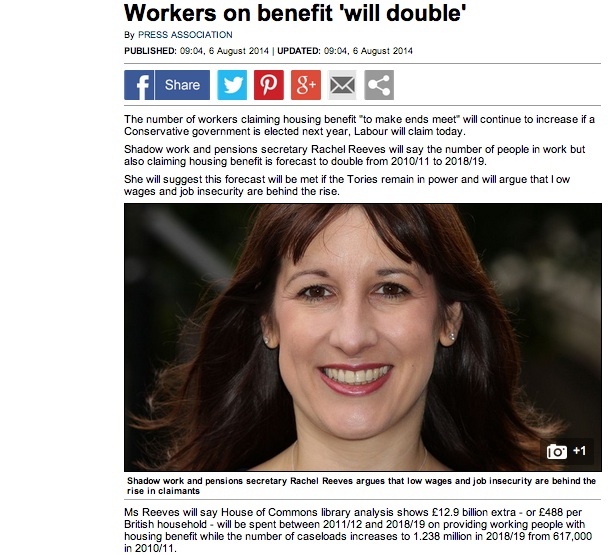 The Labour DWP team, headed up by Rachel Reeves did another great job in getting headlines for their latest on housing benefit claims by people in work, and how they are set to have doubled by 2018/19. OK. 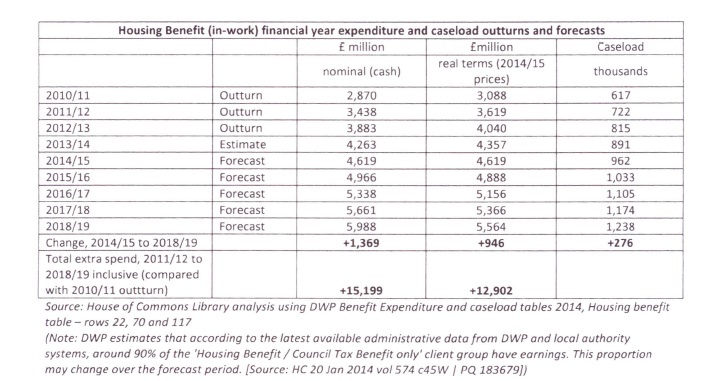 So the numbers have simply been derived by applying a factor of 90% to the residual group I've highlighted in the DWP table shown below. Not quite new data, as this is the published Budget 2014 Out-turn and Forecast, and as to new analysis, well I suppose the 90% calculation could at a pinch be described as that. It's clear that there have been increases in this group and that they are forecast to continue. But equally other groups have been shrinking and are forecast to shrink further too. That raises again the issue I looked at previously - the extent to which change is due to workers newly claiming or claimants newly working. Putting the data from the table above for the key working-age groups into a picture shows the recent and forecast changes in each group. It's easy to see where the doubling between 2010/11 and 2018/19 comes from. 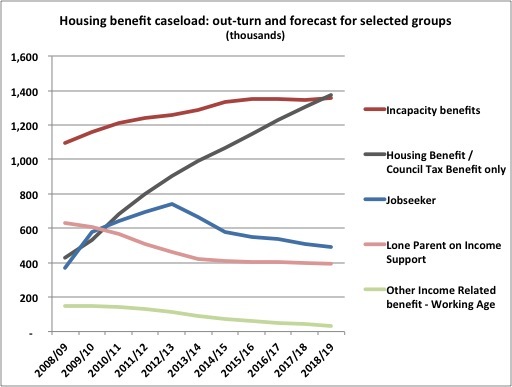 Though the increase in incapacity benefit claimants also claiming housing benefit is noticeable too. But focussing on the groups who could be or are actually working, the forecast changes from the most recent out-turn figures largely balance each out. That's without applying the 90% factor to the "Working" group which would reduce the difference between increasing in-work claims and diminishing out-of-work claims to barely 20,000 - an insignificant amount in terms of the numbers overall. 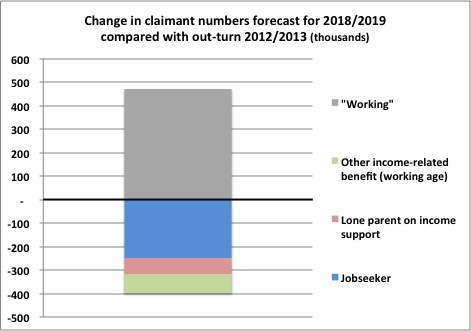 So it does rather look as though the forecasts are mostly a matter of movement between groups of housing benefit claimants rather than large (if any) numbers of working people newly claiming housing benefit. Not quite what the headlines implied.